Job-cutting spree continues at the Royal Bank of Scotland (RBS) – 443 jobs are to go from its business loans department. Many of these will be moved to India. However, the bank assures that any roles that involve customer contact will remain in the UK. “We realise this will be difficult news for staff and we will do everything we can to support those affected,” it says. Needless to say, The Unite trade union is unhappy with this development and warns that UK workers and taxpayers would lose out. 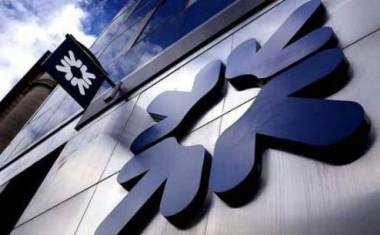 “Many small business customers with RBS will be extremely concerned at the idea of local expert staff being sent packing and their roles outsourced to call centres halfway round the world,” Cherry notes. The cuts are part of a major restructuring and downsizing at RBS, which is majority owned by the taxpayer (73%). The bank was bailed out to the tune of $46 billion during the 2008 financial crisis. A few weeks ago, it said around 250 jobs would be eliminated from the back-office department, with some of these also outsourced to India. Last summer, it was reported to be cutting 900 tech jobs. Also last year, the bank gave up on its plans to carve out the Williams & Glyn (W&G) subsidiary – defeated by the IT complexities associated with the project. £345 million were written off. On top of all the other jobs axed. Also looking to cut costs and may relocate its client business out of UK in response to Brexit.